Two out of every three sales quotes you submit are likely to result in a loss. Why? Because they take too long to create, include errors or mismatched items, or get bogged down in your own internal processes. Don't lose everything you've worked so hard for by hitting speed bumps in the last mile of your sales process. 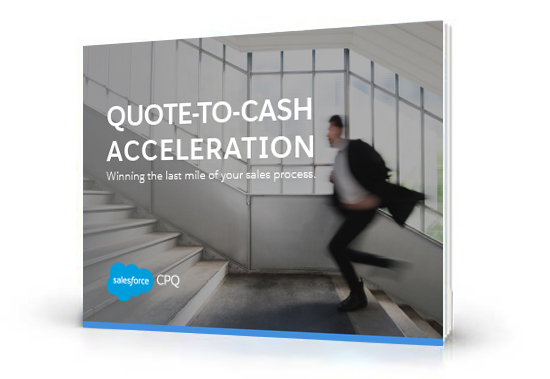 In this e-book, you'll see all of the potential roadblocks of failure in the typical quote-to-cash processes and learn how effective quote-to-cash automation can eliminate them all.